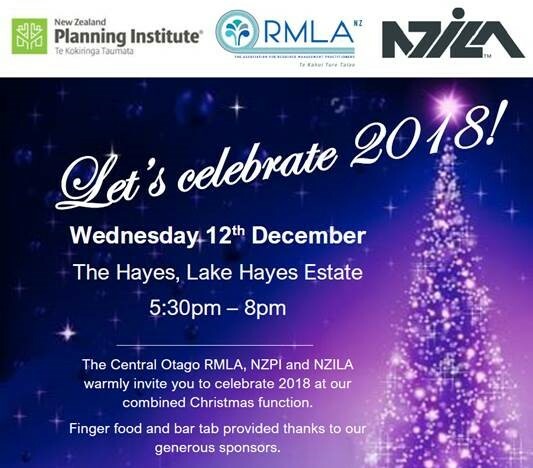 The Central Otago RMLA, NZPI and NZILA warmly invite you to celebrate 2018 at our combined Christmas function. Finger food and bar tab provided thanks to our generous sponsors. Please register your attendance for catering purposes via the RMLA website. Thanks to Anderson Lloyd, Lane Neave, Vivian Espie, Boffa Miskell and Southern Planning Group for their generous support.